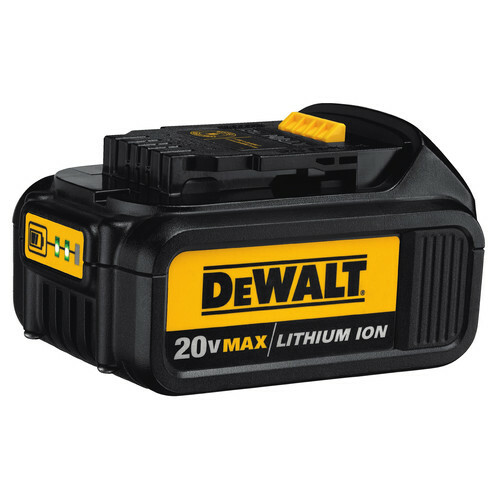 The DCD740B 20V MAX Lithium Ion 3/8 in. Right Angle Drill/Driver is ideal for a variety of applications. The multi-trip trigger and compact design make it comfortable and easy to reach tight spaces. This is not a particularly strong drill, nor should it be expected to be. It is great for holes 1/2” and under and screws in tight places. I really like the built in 1/4” chuck within the chuck. My main use for it is driving pocket hole screws and this feature makes bit insertion really easy. I do wish it had a bit more power, but it performs how I expected it to when I purchased it so I can’t complain. I did burn out my first one drilling too large of a hole, but the warranty process was quick and easy to get it repaired. Now that it is out of warranty, if it dies I would definitely buy one again. I only use this on a rare occaision but when it's needed it steps up to the job! I won't leave the office if this isn't in my van. This is one of those tools that pays for itself the first time you use it. It fits in tight areas. Powerful 20V tool. Using compact batteries helps fit in even smaller spaces. Plus it is not heavy. Works like a charm in tight spaces,saves a lot of headaches. The only drill I use constantly. I bought this thing almost 7 or so years ago and used it almost daily for a range of carpentry projects. This thing is so tough and durable, even taking a (ok, a few 12 foot drop onto concrete, this thing is so tough. This has been my first Dewalt tool, and it's been so great I've ended up replacing almost all my other tools with Dewalt because of this drill. My only complaint is they need to upgrade this to a brushless model. I feel bad for the folks who had theirs burn out - recent production problem maybe? I bought mine just over a year ago. Have used it a lot with a six inch long 1” boring bit to bust through 2x's - studs and doubled up top plates - when pulling cable. Chews through everything no problem. I guess it's when it works it works well. Purchased 3 weeks ago from lowe, drilled 3 holes in dimensional pine lumber, drill burned up on third hole. I have read other reviews of this happening. I have owned dewalt cordless since the 14.4volt....very disappointing to have this happen. Bought this to access tight areas when construction cabinets and needed to reach the attachment screws for the drawer slides in a narrow cabinet. It did exactly what I needed it to do. I have used it many times since then and it always performs flawlessly. Purchased this to drill holes through the top plate of a wall from above. Was able to drop a 1-3/8" auger through the two 2-bys without any trouble at all. Have used a number of times through studs in tight places, works great. The head design is nice and very compact. The drill isn't short, which I actually appreciate as it gives some leverage to hang onto in tight spots. Does it come with a bag or only in a box ? BEST ANSWER: This was a bare tool purchase so it did not include a bag. It's a great tool and would highly recommend this item. I previously had a corded version and this is a nice upgrade. I use it more than I thought I would. BEST ANSWER: Yes it is reversible and has a deep chuck for work in tight spaces. Model DCD740B will have the reverse option. What Battery does it used? BEST ANSWER: Any of the DeWalt 20V Lithium Ion batteries will work with this angle drill. What is the torque developed by this drill ? BEST ANSWER: This is a very impressive drill for drilling electrical romex holes through studs. Versatile. The DeWalt DCD740B is listed on DeWalts website of having 35NM or 310 in/lbs of torque. Will this drill work with my existing DCB207 (20v) batteries? BEST ANSWER: Yes, this product will work with existing batteries. Yes, this product will work with existing batteries. does it have a keyless chuck ? BEST ANSWER: No key required. what is the torque in in-lbs? What does 360 umo mean in catalog specification of "MAX power"? Does this have LED lights? BEST ANSWER: Yes, the Dewalt dcd740b does have an LED light.